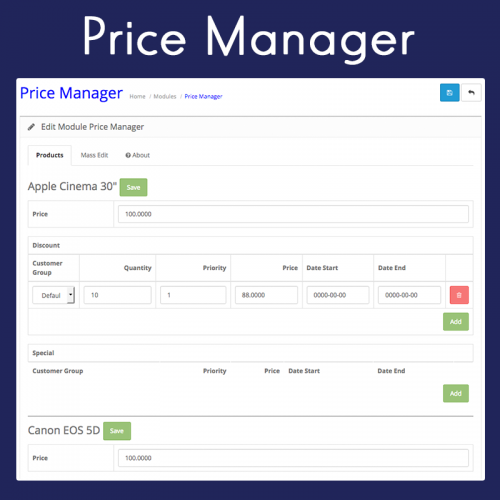 Price Manager allows you to easily and quickly manage the prices, discounts, and specials of your products from one single interface. Using Ajax technology, it allows you to easily save each product without reloading the page. 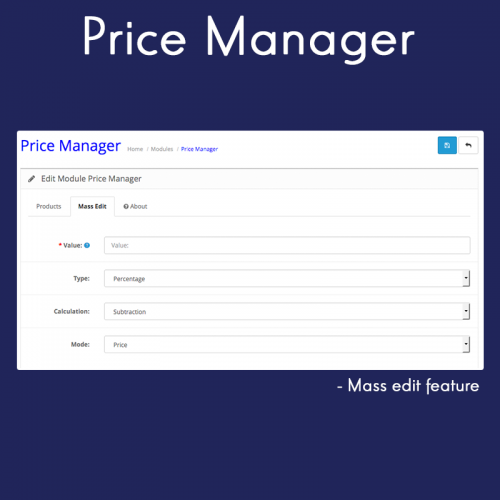 Additionally, it also allows you to mass update the prices of all your products.